WRRG Inc. had a very busy year in 2002! In July, Simeone Real Estate Inc., founded in 1971 by Broker John A. Simeone, became known as Western Reserve Realty Group Inc. This name change reflects our continuing growth within the Mahoning Valley. In 2002, WRRG respresented & sold both residential & commercial properties as well as lots & acreage in Mahoning, Columbiana, Trumbull, Stark & Portage counties. We have continued to expand our share of the REO properties market, which is led by our Corporate & Relocation Director, Susan M. Penwell. At the close of the year, we represented over 60 bank owned properties, plus over 25 standard listings. Susan was also a recipient of the 2002 OAR President's Ssales Club Award of Achievement, representing sales over $1,000,000. All told, our agents sold in excess of 150 properties in 2002! The last phase of our development in Seneca Woods neared completion in 2002. WRRG President & Broker John A. Simeone broke ground on this beautiful, prestigious $20-million development in 1991, and there are currently only six lots left available. In addition, WRRG announced the beginning of two major projects: The Orchard in Howland and The Lakes at Sharrott Hill in North Lima. 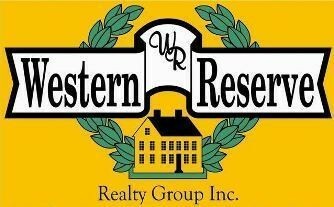 Finally, Western Reserve Realty Group Inc. joined the virtual real estate market by setting up a new website, www.westernreserverealty.com. This new website includes information about the company and our agents, details on our three current developments, and comprehensive information about all of the MLS listings in our area. The website also details our new, variable-rate listing program, which can save our clients thousands of dollars over standard rates. With so many exciting new programs and developments begun in 2002, WRRG looks forward to the coming year and what we can bring to the Valley!